Ms. Kim holds a bachelor’s degree in Social Work with an emphasis in program administration from Florida State University. She has been working in the nonprofit sector for 16 years. She began her career working with 2-1-1 Big Bend, providing telephone counseling & information and referral. This experience fueled her passion for prevention and early intervention services. From there, she went on to work for Prevent Child Abuse Florida within the Ounce of Prevention Fund of Florida. During this time Ms. Sineath focused on parent education and support by implementing Circle of Parent support groups throughout the state. 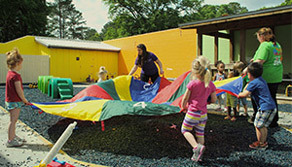 In 2008 Ms. Kim transitioned to The Learning Pavilion, and is dedicated to providing a continuum of services to our community from early intervention and parent support to internships and community education. 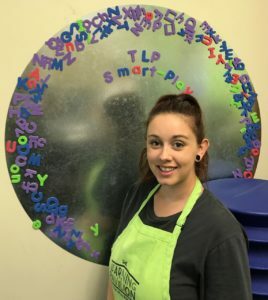 In the future she would like to expand TLP’s services throughout the Big Bend area and share our program model with child development centers across the state. 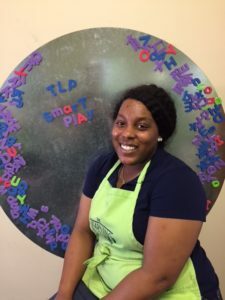 Ms. Kim is actively involved in community advocacy groups such as the Leon County Infant Mental Health Community Action Team, Whole Child Leon, and Gadsden- Leon P.A.C.T. Parents, Providers, & Community Advocating for Children Together on behalf of TLP. She grew up in Deltona, Florida and moved to Tallahassee in 1999. She is married and is the mom of two boys that keep her busy in her spare time with sports and extra circular activities. 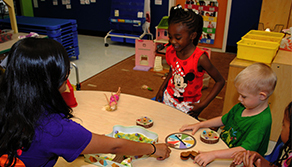 Ms. Jamie earned the Florida Child Care Professional Certificate (FCCPC) and holds a current Director’s Credential. 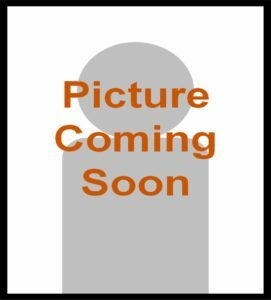 She has taken many advanced courses including Department of Education’s Florida Early Learning and VPK Standards, Implementing Screening and Assessment in the Early Childhood Setting and extensive coursework in working with children with special needs. 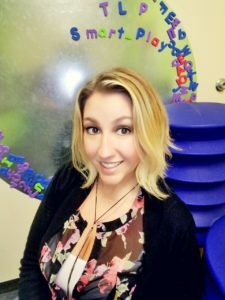 She began working in the early childhood field in 2001 as a preschool and VPK teacher in an inclusive setting and has been a preschool director. She is so excited to be a part of an elite preschool. Ms. Jamie was born and raised in Tallahassee and is currently pursuing a BA in Early Childhood Education. Ms. Angela is a long time Tallahassee resident with over 27 years of experience in Early Childhood Education, as a teacher, Family Advocate, and as a Director for children ages 6 weeks to 6 years. 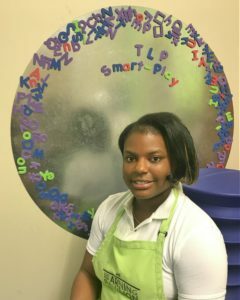 Ms. Angela holds an AS degree in Early Childhood Education and looks forward to returning to school to obtain her Bachelors degree. 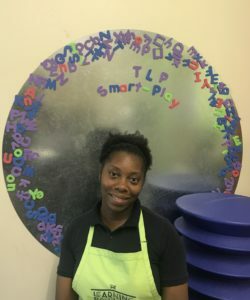 She believes that early care and education is essential and as a result of providing a high quality learning environment our children are better prepared to enter kindergarten and become positive productive members of our community. Ms. Angela loves music and being actively engaged in all of her family gatherings and attending church on Sundays. Ms. Jennifer earned a B.A. in Elementary Education from the University of Michigan. She holds is certified to teach Pre-K – 8th grade. 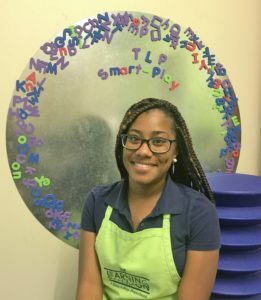 She began working as a VPK Assistant in 2010 and worked as a Lead VPK teacher from 2011 – 2016. Ms. Jennifer currently works as a classroom aide in the mornings. 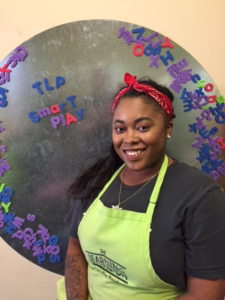 She is passionate about teaching children and getting them ready for Kindergarten. Ms. Jennifer is originally from Michigan and has lived in Tallahassee since 2009. She is married and has two Pomeranian dogs, Princes and Buster. Ms. Staci grew up in West Palm Beach, FL and is new the the Tallahassee area. She had been working in Early Childhood Education for 4 years. Ms. Staci has an AA in Early Childhood Education as well as a National CDA and Directors Credential. She is passionate about continuing her education and bringing that knowledge to life in her classroom. Ms.
Ms. Emanie has completed 45 hours of DCF required training. She is originally from Pompano Beach, Florida and has lived in Tallahassee since 2013. 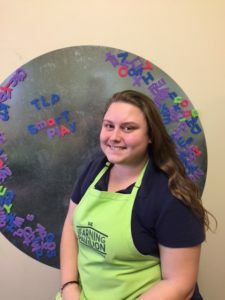 She’s worked with young children since 2010 and would one day love to become a preschool director. Ms. Emanie loves the responsibility of working with young children and helping them learn….it’s her heart’s passion. Ms. Michelle has earned an A.S. in Early Childhood Education. She’d like to pursue a bachelor’s in nursing. Ms. Michelle has been teaching at The Learning Pavilion since 2010, where she’s worked with all age groups. She is a strong proponent for early interventions and the inclusion of children with special needs. 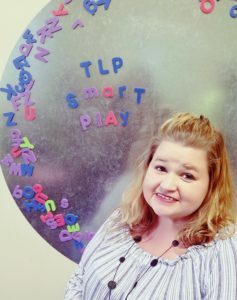 She loves to be silly and spontaneous with the children and finds talking with parents about their children to be the most rewarding part of being a preschool teacher. 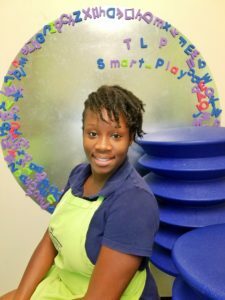 Ms. Tomeka earned the Florida Child Care Professional Certificate (FCCPC) in 2010. She is also proficient in Baby Sign Language. 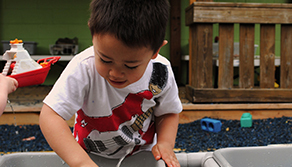 She has worked in the child care field since 2008, specializing in working with infants and toddlers. Ms. Tomeka is from Monticello, Florida and is currently working on completing a degree in the education field. Ms. Tania has earned an A.A in secondary education, an A.A in child development and an apprenticeship for Early Childhood Development. She grew up in Morgantown, West Virginia, and now resides in Tallahassee, Florida. Tania loves drawing, crafting and has three daughters of her own. She has been working with children since 2004, and is fluent in Spanish. 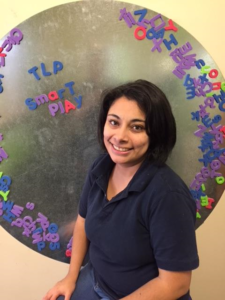 In the future Ms. Tania would love to earn her bachelors degree in Early Childhood and family studies. Her favorite thing about her job is getting to watch children’s eyes light up as the learn something new. 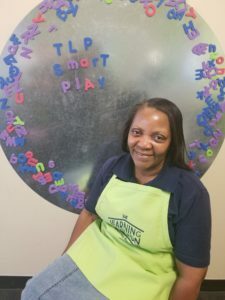 Ms. Doris attended Gadsden Vocational School and completed the Child Development Associates program with an emphasis in Early Childhood Education. She’s been working with young children since 1995. 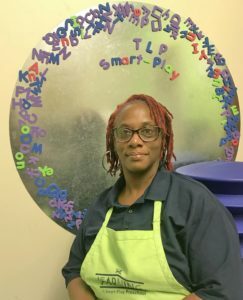 During those years, Ms. Doris has worked as a Para-Professional for Leon County Schools Pre-K, as well as an After-School Assistant before coming to work for The Learning Pavilion in 2004. She is married with three grown children and four grandchildren. Her future plans include retirement and becoming a primary caregiver for children with disabilities. Emily has been a teacher here since February 2017! Emily would like to finish her degree so she can become an Occupational Therapist. She has been working with children for about 5 years and has 2 kiddos of her own. She enjoys watching children learn and grown in their own special way. Emily is very very passionate about taking Newborn and Children photography. Ms. Montana has been working in Early Childhood Education for 2 years. 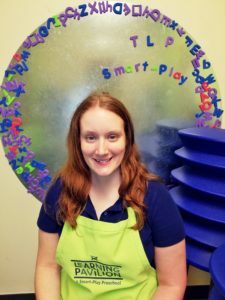 She has a passion for working with children with Special needs and is excited to gain more hands on experience and knowledge. Ms. Montana is currently working on her AA in Early Childhood Education and plans on attending Florida State University for her Bachelors degree in Child Development. Ms. Diane grew up right here in Tallahassee. She has been cooking for children for over 10 years. Ms. Diane is passionate about serving home cooked nutritious meals and loves preparing veggie dishes that our kiddos truly enjoy.